To see volleyball game in dream suggests that you are so indecisive that you cannot focus on or concentrate on anything. Your attitude makes things complex and you cannot arrange your daily life. So that there will be many problems which you will have to overcome. 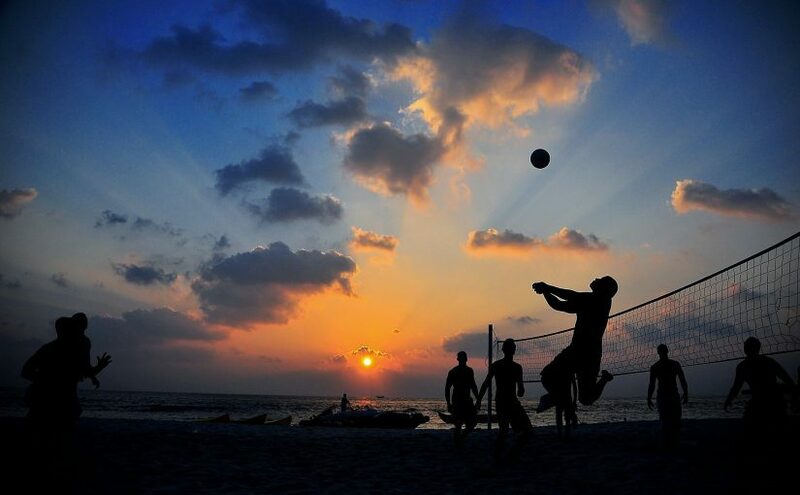 Alternatively, the dream meaning of volleyball game implies irregularity of your income. Your income is floating and it brings about uncertainty. Besides, you cannot spend your money effectively. For instance, you are still in debt because of your excessive consumption. This causes that you cannot make plans about your future. To dream about playing volleyball in a field represents that you will have to struggle with very powerful competitors in your business life. If you are occupying with your own business, then you may need time to succeed because of your rivals. If you are playing volleyball indoor hall in your dream, it indicates that you will attend to meetings concerning your business. There will be discussion about your work and you will feel stressful in the following days. Besides, playing volleyball may be a sign of bad luck. You will regret missing good opportunities and will take lessons from your mistakes. If you are playing volleyball with someone and if you are single, the dream may symbolize your hesitance about marriage. It may also signify that an old problem will become a current issue again if the dreamer is married. The dream interpretation of volleyball may symbolize an opportunity. You will have achievements at work but these achievements won’t be enough for your reputation and you will have to continue working hard. You will need to make important decisions and step forward carefully. To dream with volleyball reflects that you are so nervous or excited because you are waiting for something. This waiting makes you feel very stressful. Besides, a ball for playing volleyball in dream may be a sign of your shyness and timidity. You have difficulties for expressing yourself in a true way and you have some communication problems.